By The Eagles. Arranged by Andy Crowley. Tablature. 6 pages. Published by Andy Crowley (H0.198231-341840). 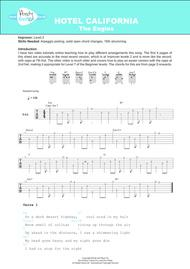 TAB, Chords and lyrics for the rest of the entire song, with suggested strumming patterns for beginners and another 'like the record' pattern for improver/ intermediates. 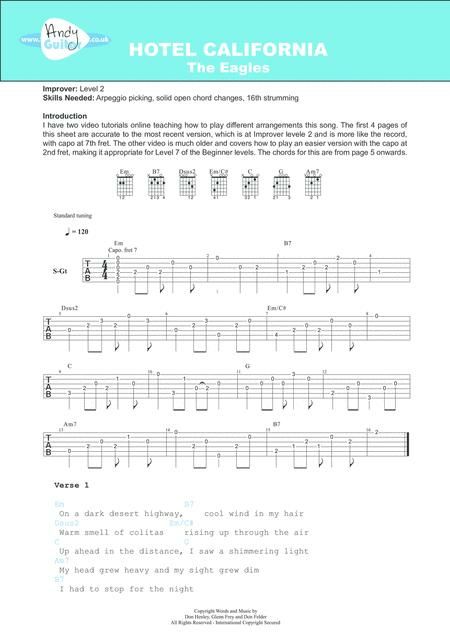 TAB for solos and lead parts not included at this time.